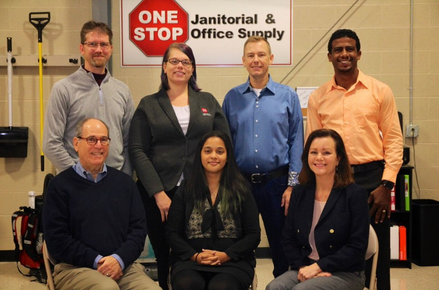 One Stop is making it our mission to help other small-to-mid-size businesses like ours in Rochester area thrive by offering service and competitive prices so that you have more time to do what you do best. It takes time to surf the web or drive around looking for the right product. We want to give you that time back. Time that you can spend making money. Together we are helping to grow our regional economy and support the surrounding community that makes our work possible in the first place. and her love of business started. 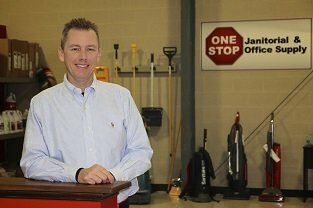 start yet another company, One Stop Janitorial & Office Supply.With his first love being the chase of success, his second love is his wife, or perhaps we have that backwards. In his spare time he enjoys spending time traveling with Angella and experiencing items on his bucket list. rental business, and then moved in to a travel agency. 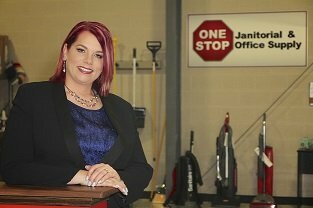 Suliany is bilingual and happy to help any of our Spanish speaking customers. 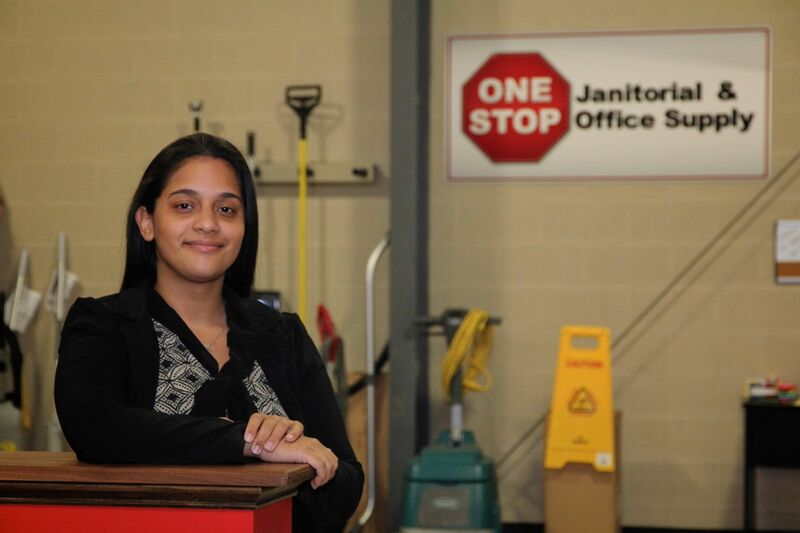 Suliany is originally Puerto Rico, she moved to Rochester with her family in 2001. She is married to the love of her life Hector, and they have a beautiful daughter Sulimar. In her spare time, she dedicates her life to her church and has recently gone on a mission trip to Nicaragua and Honduras. She is in charge of Angeles de Uncion, a dance group that performs at church. 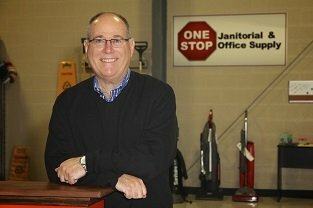 As an owner of an office furnishings and supply business for close to 30 years, Howard brings a deep knowledge of this industry to the One Stop family.He is well versed in space planning and utilizes a problem solving approach to meet clients’ objectives.Whether providing office furnishings or addressing the printing requirements of a particular business. Howard and his wife, Terry, recently relocated to the Rochester area.They are the proud parents of four sons, three daughters-in law and two grandchildren.He looks forward to continuing his association with Rotary and Coaches vs. Cancer. Meet Bubba J, he has been the One Stop Mascot since 2013. He has one sister Abigail, whom he loves to snuggle with. He is not a fan of taking a walk or a bath. Bubba is a 4 year old English bulldog who is a big baby. He loves to play fetch but we don’t recommend picking up any of the soggy stuffed toys he plays with. Bubba made his 2nd photo debut with his sister in the Rochester Women’s Magazine April 2014.